There are just a few places remaining for the summer cello courses here at Belle Serre. Why not come on down to Castres in south-west France for a week of total immersion in all things cello? I have a couple of places available for the Week 3 advanced cello course from August 5th to August 12th – this course is for players who are more experienced in ensemble playing and are Grade 8 standard and above. 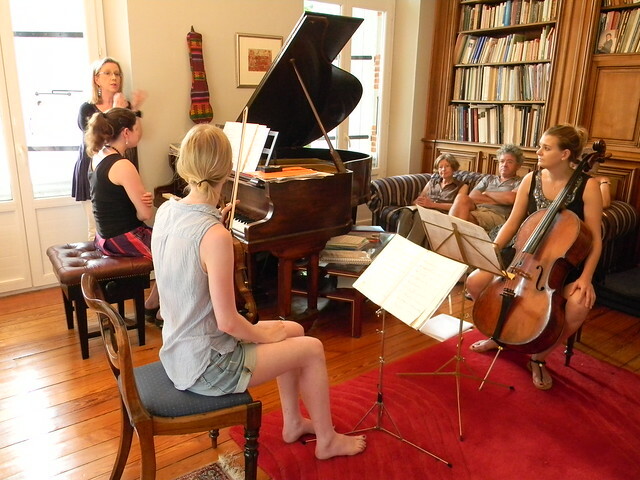 Cellists attending this course are music students, experienced amateurs and professional performers and teachers. We are going to be working on and performing Villa-Lobos’s sumptuous Bachianas Brasileiras No 5 with the soprano Isabelle Fabre, and a wealth of challenging and exciting repertoire for cello ensemble. In addition to my daily cello master classes with pianist Andrew Wilson-Dickson, you will have the opportunity to work on baroque sonata and concerto repertoire with harpsichord, and delve into the world of continuo playing under Andrew’s superb direction. Also teaching in Week 3 is our Alexander Technique expert, Cherryl Gardiner, dynamic Dutch cellist Willemijn Knödler, whose diagnostic Cello Clinic is ever popular, and Sue Urbita, cello professor at the Conservatoire de Musique et de Danse du Tarn. 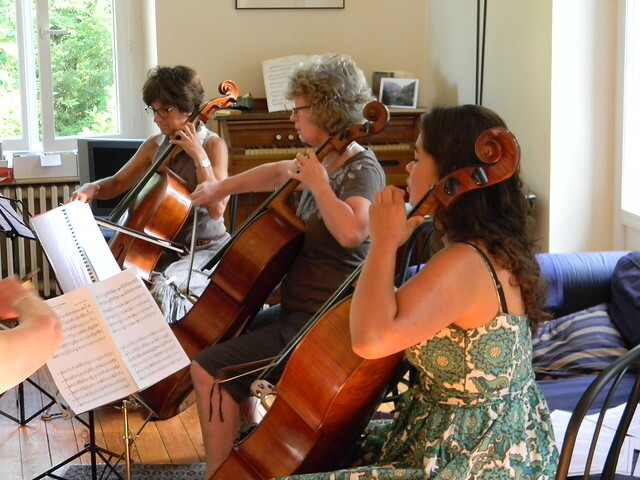 I also have one place remaining for our Week 2 cello course from July 26th to August 2nd. This course is for all levels, from just a few year’s experience up to advanced level. Ensemble parts are chosen to suit each individual cellist’s experience, working on repertoire ranging from Bach to Berlioz, to ‘Oblivion’ (Piazzolla) and beyond…. Do come and join us for what promises to be a great week of intensive study, and good company; this year, cellists are coming to Belle Serre from France, Switzerland, the UK, Australia, Ireland, Holland and Germany. or contact me (lowri@lowrirecords.com) for further details about availabilty, repertoire, tutors and the daily schedule. Come and enjoy celloing with a truly international group of players, with delicious food and copious amounts of local Gaillac vino, and plenty of laughter in great company!